They start as one thing and then become entirely another. It's no different for Bravura Academy. The student body vice president worries about her overblown reputation. A teenaged soldier attempts to adapt to a life outside the battlefied. A girl with fearful problems tries to be more independent. A new student worries about his sisters and distrusts the new school and people. A reckless amazon thrashes about like a earthquake that's trying to be friendly. They all bring their own problems, but there are other things coming down around these five and their classmates. This is going to be a fun semester. This is cover art for the first novel of the Divine Blood series. Hold on a sec! I realized something. You use artwork inside the novel as well. Example: the scene with the weird Mecha aircraft. Doesn't that make the whole process (unnecessarily or more) expensive? I mean, I've rarely seen any books that have pictures inside. BTW, isn't it also true that are quite some writers who went from self publishing to getting their novels published by official publishers? Of course, the consequence is: executive meddling. Anyway, if this is true it means I can always publish my future novels myself till some good publisher comes around and takes the publishing over (executive meddling can be for the best... OR the Worst). Well good luck on your books ! What's quite impressive is that you wrote Divine Blood in less than a year. I've heard it normally takes a year or two to write a novel (including editing and beta-reading). And have you read my story already :3? Do the inside artworks have to be in Perfect-Top-Quality as well? The last time I remember seeing pictures in books was that time when I read a book by Luke Jackson about Asperger's Syndrome. Pictures were quite crappy, though. Pictures inside novels does sound like an awesome idea... Perhaps I could use my own artworks and manga drawings. Do you have to pay more for the printing costs if you put pictures inside the novel? You know, I'm quite interested by the fact that you write novels that are (partly) influenced by anime and manga. The fact that you self-publish bothers me... what's the reason? I mean, is it that hard to find a good publisher? I mean... it would be at least a fresh addition to the Fantasy library as most of the well known fantasy novels are High Fantasy ones. 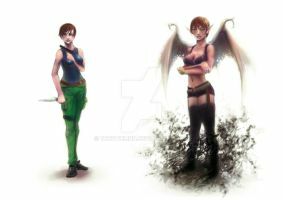 I myself am an aspiring writer that writes and wants to write stories influenced by video games, anime and philosophy. Of course, I've been wondering if there are other people who might have written the 'ideal fantasy novels' (you know; stories with mecha, magic, gods, romance, et cetera). Till now I've only found 'Universal War ARM X' by Peter Smorynski, the Broken Sky series by Chris Wooding and your novels. The small amount of animesque novels and the fact that one publishes those books himself makes me feel quite discouraged. I don't have to be filthy rich or something, but I'd hope that my books will be read by people outside of my family, friends and 'inner-internet-buddy' (AKA the people who watch me on DevArt for example) circles. Don't take it too offensive, please . I don't...basically, consider this...there are thousands of people writing books every day and the publishers have the funds to put out only a fraction of what comes into them and they have to be concerned with what sells otherwise the business goes down the tube. In the past, getting published was only really possible through them, but now with self-publishing more and more people are going that way. I was actually told by someone that if the only reason I wanted to go with a main publisher was to get help with promotion, that I should forget it since the big publishers make you pay for promotion out of your pocket so it's not much different. Only really big difference is that going with a publisher gets you access to an editing staff, apparently. Basically, self-publishing is getting more common rather than traditional publishing getting harder. But don't you think that publishers promote the books better than self-publishers? I mean... I can't think of one book that got popular success and WASN'T published by a company. I mean, Stephanie Meyer, writer of the Twilight series, had a rough time searching for a publisher but she desperately wanted to NOT self publish it. Result: despite negative criticism, it became a smashing best seller. Editing Staffs can be quite useful. I mean, they can check the grammar and overall content of your story and check if it doesn't read like crap. 3. The success of writing best-sellers is low compared to a NOT-self published novel. But maybe you have great counterarguments... How much copies or files have you sold? Is there profit or rather loss? How do you promote it? Better than what publisher companies do? Besides, a publishing company like TOR Books has less trouble to publish books that will get popular because many readers are familiar with TOR Books' choice of novels. So... what if, in the future, I'll decide to publish my stories myself... what do I have to keep in mind? What are the pitfalls and such? 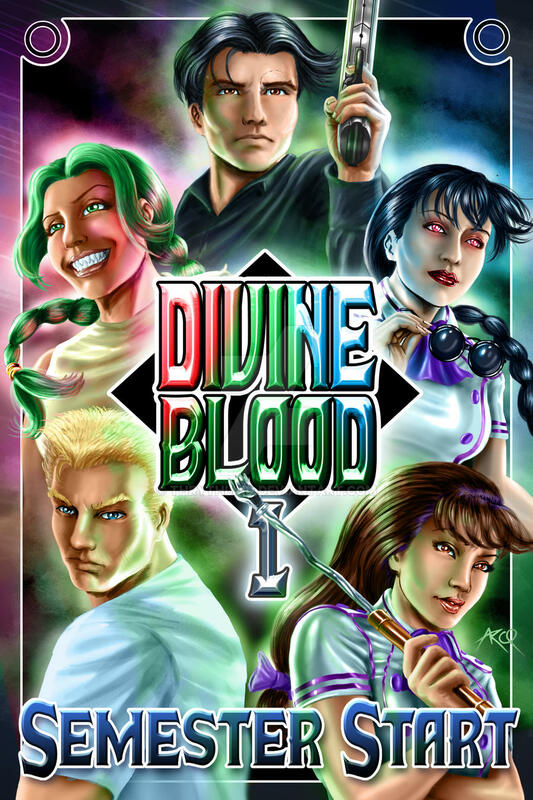 Divine Blood has gone through 7 different people (8 if you include me) over a period of 2 months to get past that. drivethrurpg.com is not quite half the cost of printing which is a big price drop (Divine Blood costs 12.66 to print on lulu and 7.50 or so to print through drivethru) but you need to make your own cover and internal pdfs. both drivethru and lulu use the same source printer: Lightning Source, but they're harder to get started with. also, when you start writing plan to set aside some money for cover art. $200-$300 is probably best. So that's why you had the sell the print versions at a 10 dollar + price... Wait? 300 bucks!? Is Genzoman that expensive? I mean, a mere commission costs 10 to 80 dollars right? But Amazon.Co.Uk and .Com also offer print versions OR ONLY Kindle versions? I do know that there are lots of self-publishing websites, but I wonder... which ones are reliable and stuff. Which sites have the greatest chance to let your work be known outside your family and friends? Anyway... I guess making writing your number one career isn't on your list? amazon recently started a print-on-demand company called "Createspace" but it isn't much cheaper than Lulu. Good, personal use commissions range from $10-$45 in my opinion. Cover art needs to be a higher level, so yeah $200-$300 is a good range. ebook is best to start out with on a business model, I'd say, get a place to do prints in order to have something to bring to book-signings and conventions or to have a way to offer print copies as contest prizes or the like. But until you get popular, I doubt you'll sell many print copies. Granted, I'm still in the early stages and I'm watching my sales slow down again, so we'll see. Publishing companies only promote the books that do well. A handful, they each have hundreds of other titles that the author themselves has to promote. As to me, I've only sold about fifty of Divine Blood in the two-three weeks its been up. Plus another fifty other books. I sell mostly on kindle, so there is no cost to me. I'm making enough to support some advertising. The average quality of self-published is low, but I believe there are 27 self-published books in the top 100 best sellers right now. I only pay for the publishing if I do hard copy. Why doesn't Amazon offer a Paperback version. I don't want to sound rude, but I can't afford a freaking Kindle right now, and I'm very unfamiliar with Lulu. also...you don't actually NEED a kindle to read kindle books...I don't own a kindle either...I use a free PC app that Amazon provides to make my laptop act as a kindle. It is one of the best things I like about kindle format, they have apps to make it possible to read kindle on just about any electronic device.